Last week, The Manifest held one of their Tasting Session seminars with bar manager Justin Park. This one focused on whiskies from the Japanese distillery Nikka. I happened to see a posting on Instagram (if you want to find out about future tasting sessions, you should definitely be following them) and alerted Shake and our friend. They’re both very into Japanese whiskies. 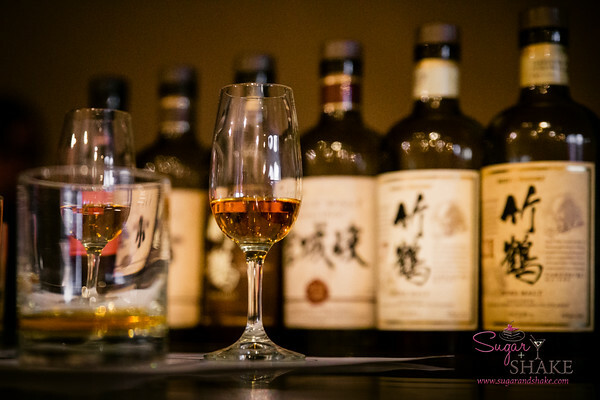 Personally, I’m not a fan, as Japanese whisky tends to hew toward the peaty profile of Scotch whisky, and I am not a fan of the “Scotchy Scotch Scotch” taste/smell. This particular event ran $50/head for the tasting of seven, plus some snacks. A fantastic deal for a good evening of learning and quality spirits.